It may be up to a groundhog to predict spring in the USA, but in Bulgaria, a grumpy old lady named Baba Marta holds the reigns. No one has ever seen this mysterious granny. Yet, Bulgaria, the Eastern European country of some 7.4 million people, celebrates her arrival every year. 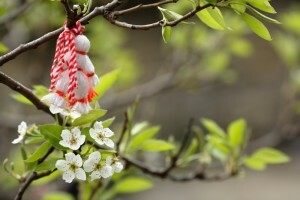 Baba Marta, or Granny March, symbolizes the coming of spring. Arriving on March 1, Baba Marta is impulsive and unreliable just like the weather in spring. To appease Baba Marta, Bulgarians make decorations from red-and-white yarn, called martenitsi. From bracelets to dolls, martenitsi come in a variety of shapes. 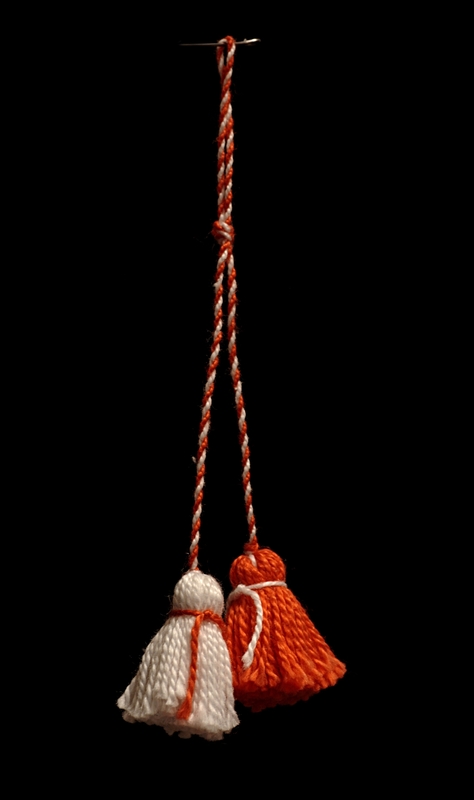 Many Bulgarians wear red-and-white bracelets or tie yarn tassels to their clothes or bags. It is common to give martenitsi to friends and family on this day as gifts. Back in the day, Bulgarians believed that martenitsi warded off evil spirits. White threads in these decorations stand for fresh start, happiness and beauty. Red threads mean health, fertility and birth. Combined together, these colors symbolize the new beginning. By tradition, Bulgarians must wear their red-and-white amulets until they see first signs of spring such as a stork in the sky or a fruit tree in blossom. These things will suggest that Baba Marta is in good spirits and is letting the spring through. At this point, martenitsi can be taken off and hung on a tree. 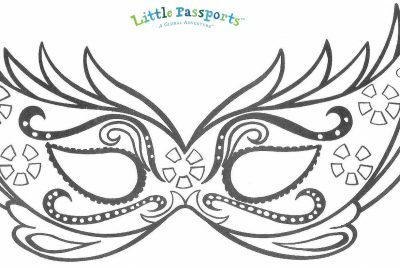 Learn how to make martenitsi with Little Passports. 1. Tie the 2 ends of the red and white strands together. 2. Twist the strands, then secure with a knot. 3. Form a bracelet by connecting the ends with another knot. 1. Make a 7-inch red-and-white bracelet following the instructions for the martenitsa bracelet. 2. Fold 1 piece of the cardboard in the middle. 3. Start wrapping the red yarn around the cardboard, lengthwise. The more yarn you wrap, the fuller and thicker your tassel will be. 4. Cut the yarn when you are finished. 5. Fold the other piece of the cardboard. Repeat steps 3 and 4 with the white yarn now. 6. Slide your bracelet into the middle of the white yarn cardboard so that the ends hang loose on each side. 7. Tie the bracelet in a knot around the wrapped threads on the side where the cardboard is cut. Tie the bracelet tightly as its the only thing that will hold your tassel together. 8. Now, free your white tassel from the cardboard by cutting the yarn loops opposite from where you just tied the knot. Remove the cardboard. 9. Slide the end of your bracelet through the red yarn cardboard now. Repeat steps 7 and 8. Your tassels are connected now. 10. Tie a new piece of yarn one inch below the top of each tassel. Your martenitsa tassels are ready! Pin them to your coat or attach them to your bag! May the spring come fast! Imagine a cultural learning experience that arrives every month. First, your child receives their first box filled with a world map, their very own passport, and a letter from their new pen pals Sam and Sofia. Every month after, they’ll receive letters from Sam and Sofia, fun souvenirs, cultural activity sheets, stickers, photos and access to the online Boarding Zone where they can play exciting games! The World Edition is recommended for kids age 6-10. Learn more about the World Edition subscription. Is your little one a bit younger? Try the Early Explorers subscription (recommended for 3-5 year olds) that explores a world theme every month. Your child will learn about world oceans, music around the world, landmarks, dinosaurs, and so much more! Every month you’ll receive a 20-page activity booklet, stickers, flashlight adventures, trading cards, and of course souvenirs and letters from Early Explorer pen pals Max, Mia and their dog Toby. Learn more about the Early Explorers subscription package. 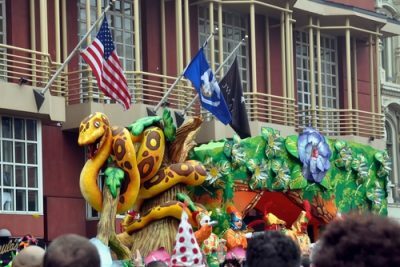 Build Your Own Mini Mardi Gras Float!